How Technology Is Transforming Logistics Sector? HomeBusinessHow Technology Is Transforming Logistics Sector? Tracking software, air-freight, and chat-bots for registering customer’s feedback have emerged as a boon for logistics industry off-lately. The way shipping companies in India use two operate in India two decades ago has completely changed, all thanks to the advent of technology. Logistics sector heavily depend upon effective information systems to resolve real-time issues and keep moving supply chains seamlessly in the right direction. These information tracking systems majorly operate on two planes—process and technology. With technological aid, the processes can be run with much more agility and precision. The biggest advantage of tracking software is that it helps to save a lot of labor cost. For instance, TCIL Xps tracking software has helped the company to save a lot of money by providing improved quality, accuracy, and much more precision in the processes. Logistics automation systems integrate the commodities with ERP system and have a direct access to address books, entry of fuel surcharges, and accessorial. This helps the managers to not fret about keying in the wrong information unnecessarily. Manual data entry errors often lead to increased shipping costs but these automated tools have helped the logistics industry to minimize these errors by a substantial amount. 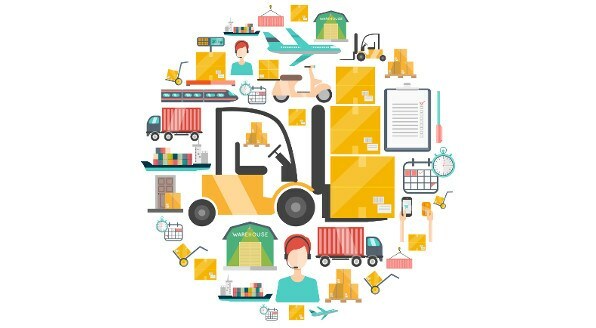 Whether it is using a technique to remove additional manual work or adding robotic techniques in the manufacturing department, these technological tools have taken the entire logistics industry by storm. Let’s discuss the advantages of these technological tools in a bit more detail. Since half of the work is already been taken care of by the technological tools, other major important work such as delivery can be done by manual labor. With the increase in the number of people opting for these services, these companies have also managed to meet the increased demands with no slack whatsoever in their performance. Unlike the old methods of getting your goods delivered which took a long time to get delivered, the new tracking systems ensure that deliveries are done at fastest time possible. Unlike earlier times when getting your parcel delivered within the country it was a tough task, an international delivery was out of the question. However, with the increase in the demand of the people wanting to send parcels all over the world, these courier services have expanded their scope of delivery services and now cater to an audience worldwide. With such convenient, affordable and round the clock options available to get goods delivered; technology has fuelled the growth of E-commerce sector globally. Since everything is available at a click of a button, make sure that you choose the best possible option get your goods delivered. TCI express, one of the best courier delivery services in South East Asia is a perfect option to place or get your deliveries done. The services provided by TCI are agile, consistent, and most importantly safe.